Is Golf your passion? Chances are if you’re a keen golfer you’ll practice or play at least once a week and could be suffering with some sort of lower back pain. In this article we’ll be looking at some of the common causes that might be leading to a golfer’s lower back pain and how you may be able to prevent yourself from injury. The golf swing is a relatively stressful movement for the body, with a lot of momentum and force being put through the anatomy of, not just the lower back but the whole lower extremities (pelvis, hips, knees, ankles and feet). Let’s look at the back swing! The back swing is how we load up for a successful downwards swing. While we take our club back, we engage all our muscles and ask the body to move in all three planes available which are, the sagittal plane (forward and back), frontal plane (side to side) and transverse plane (rotation from left to right). However, if for some reason the body is lacking in one or more of these planes it will cheat and find another way to compensate for the lack of movement. This, in the long term may result in lower back pain. When it comes to addressing lower back pain we have to look at the body as a whole, especially at what the ankles, knees and hips are doing. Many golfers say to me “I suffer from lower back pain after playing golf” and they all seem to pin this on the actual golf swing. I think a lot of golfers forget that on average, they’ll be walking 4 or 5 miles when they take on 18 holes. If the ankles are stiff and immobile this will result in a lack of muscular engagement up into the hips, gluteal muscles as well as up into the core, which will impact the lower back when walking not just in the swing. It’s important to spend a good 10 to 15 minutes warming up before setting out on the course, this doesn’t just mean going and hitting a few balls down the range or in the practice net, but spending a few minutes getting your ankles, knees, hips and thoracic spine moving in all the 3 planes that we have mentioned above. To prevent injury, it is essential to prepare your body for the activity that it’s about to do. The key piece to take away from this article is that the body works as whole and moves in all three planes of motion during the golf swing. If one is comprised the body will find a way to adapt which might result in lower back pain. Spending time on warming up correctly will reduce your risk of injury, or further injury. It’s also important to remember that it might not be your lower back causing your pain, but something else which is putting the lower back under more stress, it’s key to get to the cause of the problem and not just address the presenting symptoms. 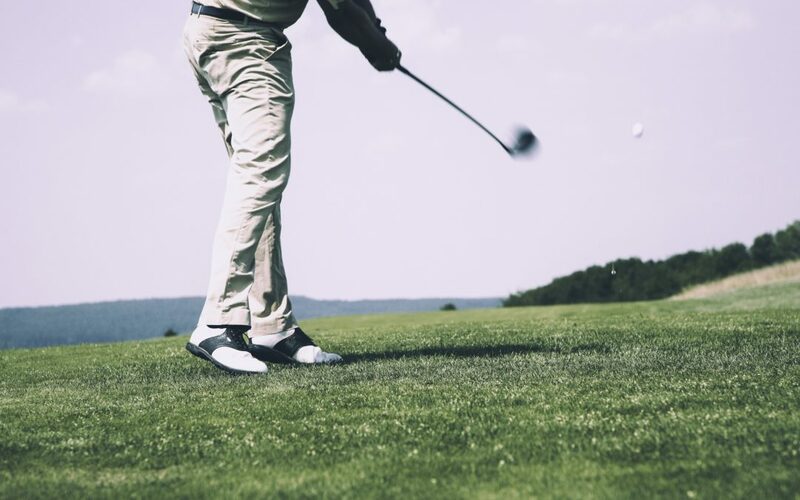 If you need some advice on what stretches you should be doing prior and post your round of golf, or you’re feeling some twinges that you need addressing, book in to see one of our registered Clapham osteopaths now.